Up your style quotient with this blue henley neck full sleeve T-shirt, by Allen Solly. This cotton slim fit T-shirt will definitely get you noticed. Model is wearing M sized T Shirt. Apparel Measurement for M sized T Shirt. 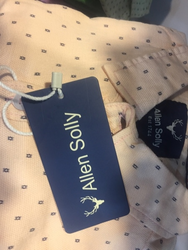 Our reputed entity is engaged in supplying Allen Solly. 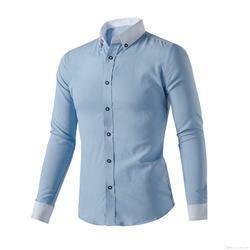 In order to keep pace with never ending demands of the customers, our company is instrumental in offering Men's Polo Neck T-Shirt.